More and more, when I am shopping for old photobooth photos, I look for ones that appear in a context that gives me more information about the person than a single photo might. 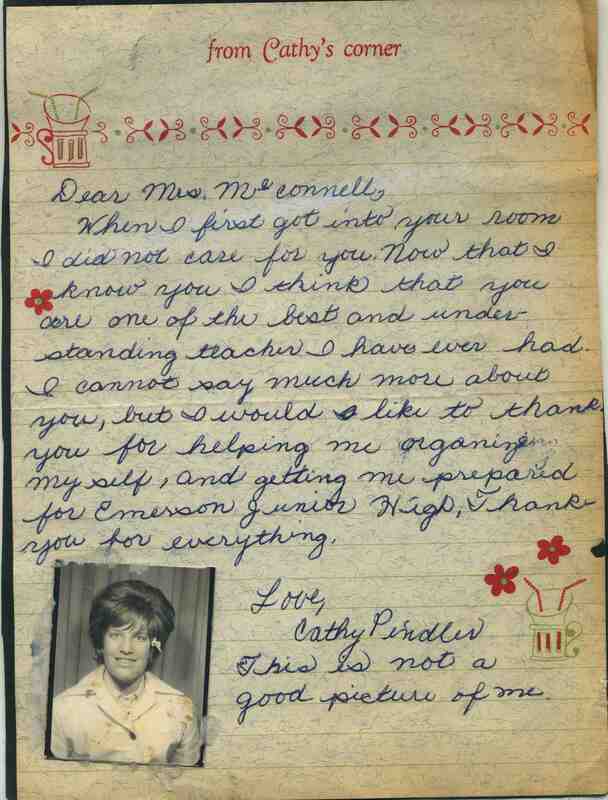 I was thrilled to find this beautiful and unintentionally funny letter written by Cathy Prindler to her favourite teacher Mrs McConnell. I am guessing she would have been 11 or 12 years old, as she is about to enter a junior high school in the USA, although the very 1960s back-combed, mini bee-hive “do” looks like it should belong to an older girl. The letter has been glued to an album page and at some point cut out of its home, possibly for selling. It is another item made melancholy by the fact that it has parted ways with its owner through death, accident or neglect. I agree with her, it is not a good picture because she looks like she is 23. I also think that hair would have made a lovely home for a pair of mating birds. 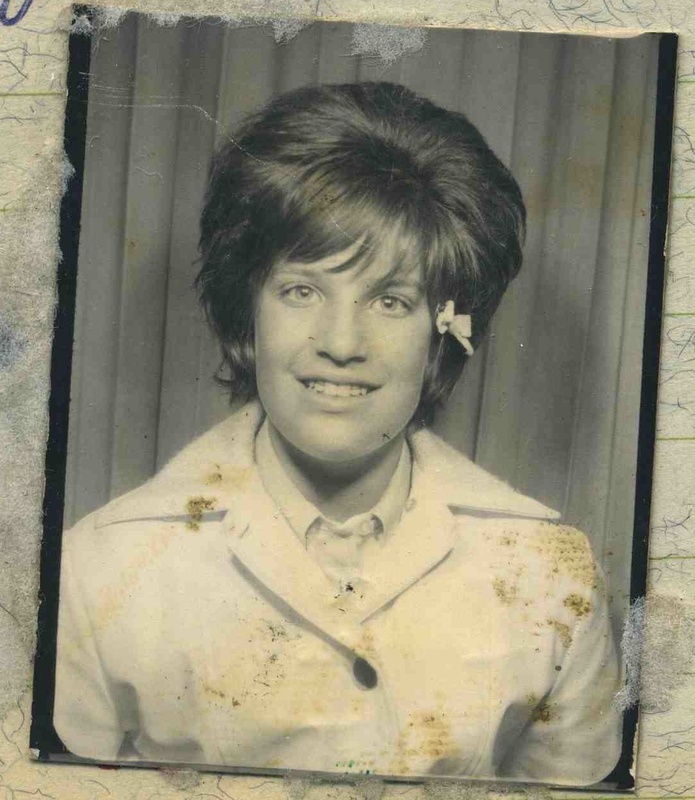 I think in the olden days people just grew up quicker, my own Mother started work at the the age of 12 and when you see pictures of her at 12, from what should have been here youth, she looks the same as she did when she was 22. Wow, 12 to start work! I thought I was pretty cool getting my first job at 15 and three quarters! What did she do? Yes, Cathy was twelve. It was 1962. Excited at the prospect of following in the footsteps of a certain Norma Jeane Mortenson, herself a pupil at Emerson some twenty years before. Cathy married Carl and a family followed. Devoted in their dotage, they now live in Tarzana, California. This year she turns sixty-seven. A tiny point, author: her maiden name was Pindler. Thanks for dipping into my archive and for the imaginative story!